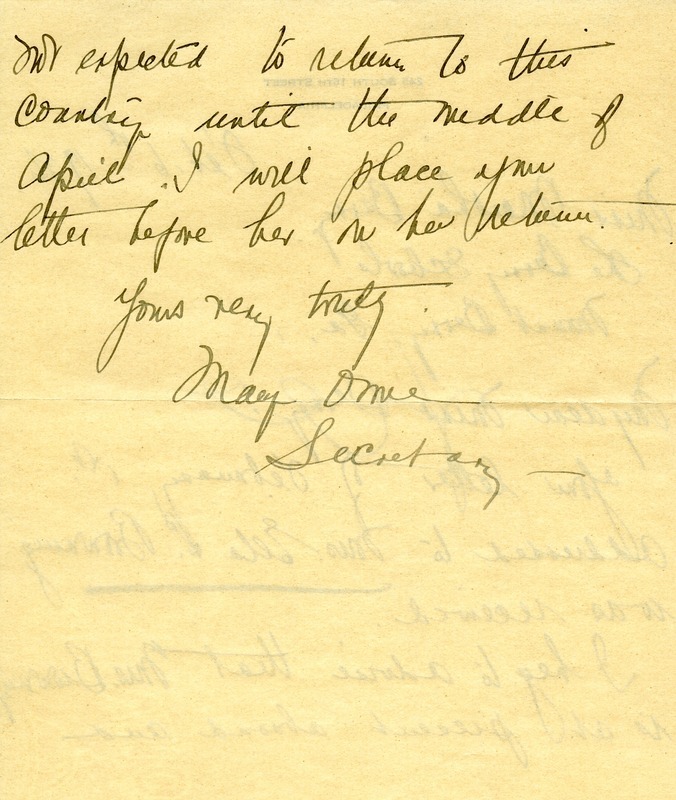 Letter was received by Mary Omu, the secretary, but Mrs. Ella L. Browning is out of the country until middle of April. Mary Omu, “Letter to Martha Berry from Mary Omu.” Martha Berry Digital Archive. Eds. Schlitz, Stephanie A., Meg Ratliff, Bob Williams, et al. 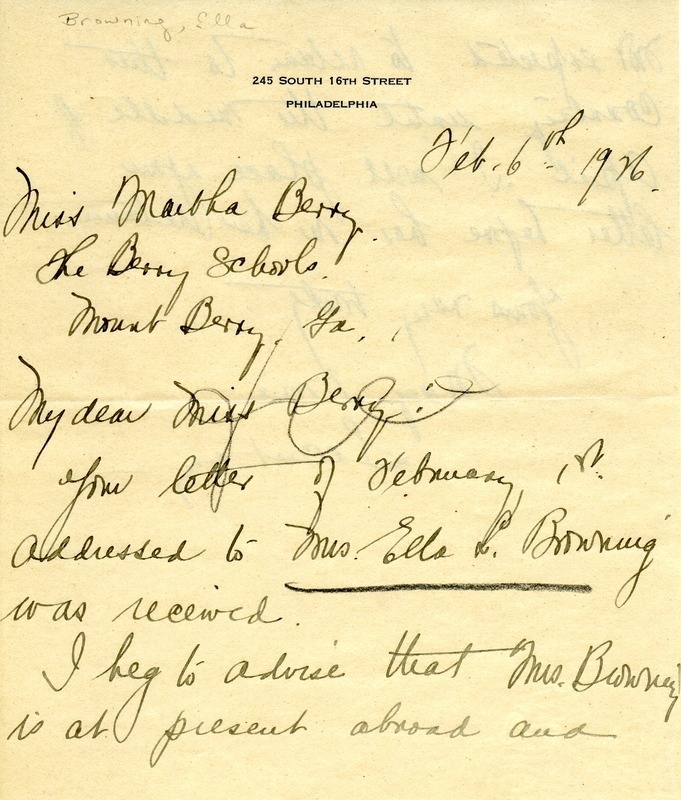 Mount Berry: Berry College, 2011. accessed April 26, 2019, https://mbda.berry.edu/items/show/954.